The first Women's Institute was founded in Ontario by Adelaide Hoodless in 1894. By 1909, women were starting their own branches in other areas of the country. The Colwood Women's Institute was formed on October 18th, 1910. The first meeting was held in the Colwood Community Hall, where meetings are still held to this day. In the early days, the Colwood Women's Institute undertook many community building efforts, including sending hundreds of pounds of socks, quilts and warm clothing overseas for Canadian military in both World Wars. Those who did the sewing were called the 'willing workers". In 1911, the Women's Institute turned their attention to the need for a church in the Colwood community. It was championed by members of the women's institute and prominent local families, including Laura Dunsmuir, the wife of James Dunsmuir, the former Premier and Lieutenant Governor of British Columbia. Other founding families like the Peatts (Edith and her husband Arthur), donated a quarter of an acre for the church site, the adjoining Pioneer Cemetery, and additional land for the vicarage. In 1913, St. John the Baptist Heritage Church opened its doors to the Community. The Colwood Women's Institute were the trustees of the church and the adjacent Colwood Pioneer Cemetery until they were turned over to the City of Colwood. 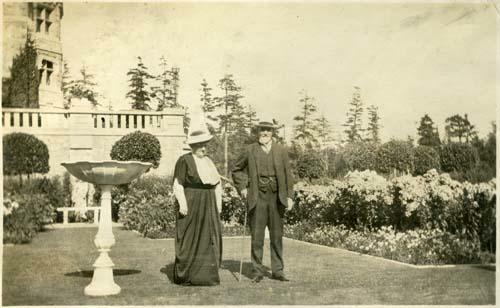 Fundraising garden parties hosted by the Dunsmuir family at Hatley Castle raised many of the funds used to build Colwood Community Hall, St. John the Baptist Church, and later the Queen Alexandra Solarium (1927) in Mill Bay. The Solarium eventually became the Queen Alexandra Foundation, which is now the Children's Health Foundation of Vancouver Island, an organization that continues to provide vital programs, services and equipment to support the physical, emotional, behavioural and intellectual needs of children and youth - an amazing legacy of a caring community. The Colwood Women's Institute continues its good work to this day through fundraising and community services to provide annual contributions to local hospitals and organizations such as the Children's Health Foundation and BC Children's Hospital. Read more about the Colwood Women's Institute.